These days, link building is all about outreach. Over time, we’ve seen an ongoing trend: there have been fewer and fewer ways to “DIY” your own backlinks. The best way to get them is to earn them. Earned editorial links are what you should be aiming for. That’s not to say you shouldn’t actively reach out to bloggers, journalists, and the like. But ideally, your content is so high-value that people independently choose to link to it. Unless you’re in some odd little niche that’s both little known and very new, a lot of the basics have already been covered. Is your “Ultimate Guide to Influencer Marketing” really going to be competitive with the likes of Neil Patel and other big names in the marketing industry? If everything is “the ultimate,” nothing is. So initially, you’ll find yourself kind of rehashing what’s already been said. You might be using a “skyscraper” approach to do this, but even then, it can be challenging to find places that really add value. That’s one strategy you can use. But what if you could create a piece of content that contains information that no one else has access to? Something only you could have. 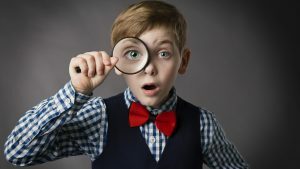 In a recent post, the Content Marketing Institute explains how to create content that’s genuinely unique and compelling. If I haven’t made it clear, these strategies are all about earning links rather than building them. To do it, look at the content already ranking high for the topic you’re targeting. As you browse the results, you see that the opportunity is good to create more valuable content – a highly linkable piece of content – on the topic. And since most of the results don’t directly answer the question, you may even be able to create content that appears in Google’s answer box for this phrase. And, since you’re attempting to cover the topic as thoroughly as possible, know that you likely need to create long-form content. Not only does it help ensure that your post is highly informative, but it also puts you in a better position to rank at the top of search engine results. This influencer or expert content strategy is becoming more common. My team used it for an episode of our Write Podcast by interviewing conversion copywriting expert Joanna Wiebe. 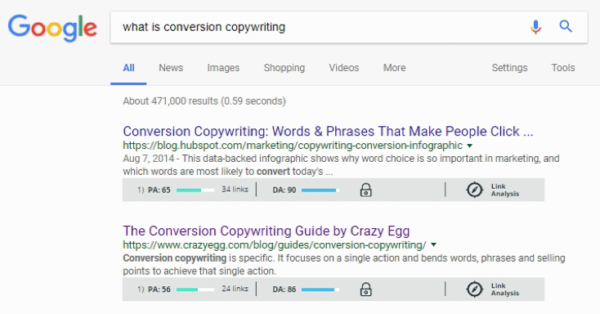 One of the quotes from the transcribed interview was featured as a backlink in Crazy Egg’s Guide to Conversion Copywriting. 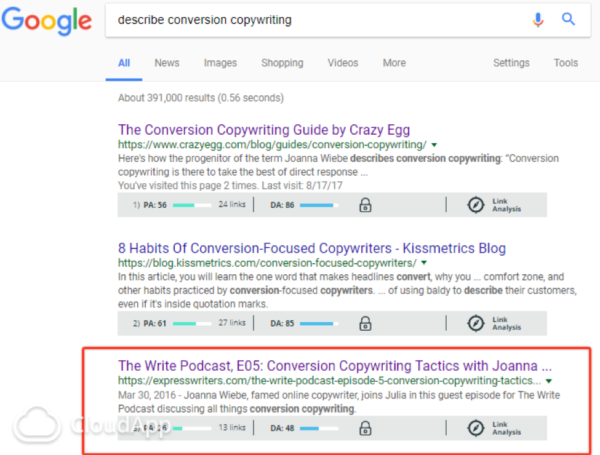 As a result, when searchers use the phrase “describe conversion copywriting,” our podcast interview ranks third and the content that incorporates its backlink ranks first. You can find more great ideas for unique content over at the Content Marketing Institute.